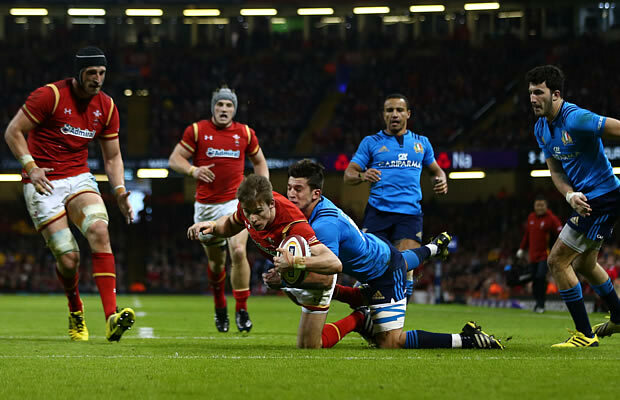 Wales finished their 2016 Six Nations Championship campaign on a high by smashing Italy 67-14 at the Principality Stadium in Cardiff. Wales outscored Italy by nine tries to two in the match and George North was named Six Nations Championship man of the match. The first match of the final day of the Championship was over as a contest before half-time with Wales 27-0 up at the break following tries by Rhys Webb, Dan Biggar and Jonathan Davies. Six more tries followed in the second half, with replacement Ross Moriarty scoring twice and North becoming the first Welshman since Shane Williams in 2008 to score tries in four successive Championship matches. It was also Wales’s record Six Nations win against any side, beating the 48-point margin they achieved in beating Scotland 51-3 in Cardiff in 2014 when Scottish full-back Stuart Hogg was sent off. Defeat meant bottom of the table had lost all five of their Six Nations matches this season, with French coach Jacques Brunel losing his last game in charge of the Azzurri. Wales were desperate to finish on a high after last weekend’s 25-21 defeat by England at Twickenham, allied to Scotland’s win over France, scuppered their title hopes. Warren Gatland, the Wales coach, made several changes, mostly injury-enforced, after his side left themselves with too much to do against England after falling 16-0 behind at half-time. 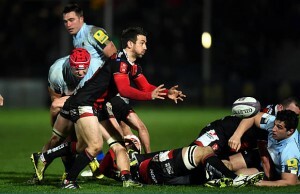 “We are still disappointed with last week and we owed it to the fans,” Lydiate told the BBC. For the second week in a row Italy, wooden spoonists for the 11th time since joining the Six Nations in 2000, conceded nine tries in a match following their 58-15 hammering by Ireland in Dublin. “The campaign was really difficult,” said Italy captain Sergio Parisse after a Six Nations where the Azzurri conceded 29 tries. But there was nothing sluggish about their start on Saturday, with Webb making his first Wales start since September after he missed last year’s World Cup with a foot injury, crossing for a fourth-minute try off the back of a close-range maul. Fly-half Biggar converted and then extended Wales’s lead with a penalty. Italy then avoided conceding another try but at the cost of scrum-half Guglielmo Palazanni being yelllow-cardedafter he prevented Webb taking a quick tap penalty. Handling errors and a penchant for the floated pass scuppered potential Welsh try-scoring moves before a successful exchange between Biggar and centre Roberts in the face of weak tackling sent the outside-half in between the posts. Roberts scored early in the second half before North’s solo effort, a break from half-way in the face of yet more weak tackling, gave Wales their fifth try. Italy avoided being ‘nilled’ with Palazanni crossing following a close-range line-out. But barely a minute later Wales had another try when Roberts and Jonathan Davies set up full-back Liam Williams. Italy’s Gonzalo Garcia crossed for a converted try only for Wales to respond through Moriarty. 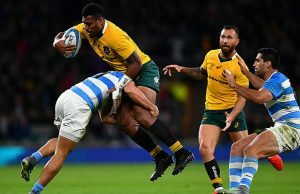 Azzurri full-back David Odiete appeared to have scored a late intercept try after running the length of the field, but was called back for offside. As he retreated, a quick tap sent in Moriarty before replacement scrum-half Gareth Davies scored Wales’s ninth try in the final minute.